Draft: 2011, Seattle Mariners, 8th rd. Full name is Carson Donald Smith. Signed by Kyle Van Hook (Mariners). Pitched for Grayson County (TX) College in 2009 and Texas State University from 2010-11...Named Southland Conference Pitcher of the Year in 2010 and 2011. Is a 2008 graduate of Midland Christian (TX) High School. Made 14 appearances for the Red Sox before suffering a season-ending injury on 5/14. After allowing 4 ER in his first 4 outings, posted a 1.54 ERA (2 ER/11.2 IP) in his final 14 games. Did not issue a walk in his last 11 outings, matching a career-long streak from 5/23-6/20/15. Placed on the 10-day DL on 5/15 with a right shoulder subluxation...Transferred to the 60-day DL on 7/2...Outrighted from the ML roster on 11/1. Appeared in 8 games in September for BOS...Began the year on the disabled list recovering from Tommy John surgery performed on 5/24/16 ...Placed on the 10-day DL on 4/1 and transferred to the 60-day DL on 4/27. Began his rehab assignment on 8/5 and made a total of 11 appearances between Double-A Portland and Triple-A Pawtucket. Was returned from his rehab assignment with Pawtucket and reinstated from the DL on 9/5... Made his season debut that night vs. TOR, throwing a perfect 18th inning with 1 SO in the Red Sox' 19-inning victory. Recorded his 1st save as a Red Sox in the club's 11-inning win on 9/18 at BAL. Held opponents to a .182 AVG (4-for-22) over the first 7 appearances of his season before allowing 3 hits in 3 AB in his final outing of the year on 9/30 vs. HOU...POSTSEASON: Made scoreless appearances in Games 2 (0.1 IP) and 3 (1.0 IP) of the ALDS vs. HOU. In his 1st season with the Red Sox, was limited to just 3 games due to a right elbow injury. Made 5 scoreless appearances (4.0 IP) in spring training before being placed on the 15-day disabled list with a right flexor muscle strain on 4/3 (retro to 3/25). Appeared in extended spring training games in Fort Myers, FL and began a rehab assignment with Double-A Portland in late April...Made 2 scoreless appearances (1.2 IP) for the Sea Dogs from 4/29-30. Was returned from his rehab assignment and activated from the DL on 5/3...Made his Red Sox debut on 5/3 at CWS with a scoreless 7th inning, striking out 1. Did not allow an ER in any of his 3 appearances...Allowed 1 unearned run in 1.0 IP on 5/9 vs. OAK. Was placed on the DL with right elbow soreness on 5/20 (retro to 5/15). Underwent Tommy John surgery on his right elbow on 5/24...The procedure was performed by Dr. David Altchek at the Hospital for Special Surgery in New York, NY...Transferred to the 60-day DL on 6/7. In his 1st full season in the big leagues, led all ML rookie relievers with 92 SO in 70.0 IP over 70 appearances for SEA...Finished with the 7th-highest SO/9.0 IP ratio (11.8) among all AL relievers. Overall, ranked 4th among AL relievers in SO, 5th in IP and opponent OPS (.539), T-8th in holds (22), 9th in opponent AVG (.194), 11th in ERA (2.31), and 13th in WHIP (1.01)...Finished 3rd in ground ball rate (65.4). No other player in ML history with at least 15.0 IP in a season had ever posted both a strikeout rate (11.8 SO/9.0 IP) and ground ball rate (65.4%) as high in a single season. Tied the Mariners single-season record for SO by a rookie reliever (also Enrique Romo in 1977)...Finished 2nd in appearances behind Ed Vande Berg's 78 in 1982, and ranked 7th in innings. Led all Mariners relievers in SO, appearances, and IP, and was T-2nd in saves (13). Limited opponents to a .278 OBP...Of his 284 batters faced, allowed 49 hits with only 13 going for extra bases (11 2B, 2 HR)...Did not allow a HR over his final 43 games of the season (44.0 IP). Made his 1st career Opening Day roster...In his season debut on Opening Day, 4/6 vs. LAA, earned a hold by striking out Mike Trout with 2 out and 2 on in the 8th inning to preserve the Mariners' 4-1 lead. Allowed the 1st run of his ML career in his 21st game in the big leagues on 5/3/15 at HOU (1.1 IP)...Had gone the first 20 appearances of his ML career without allowing a run (9/1/14-4/30/15)...Also did not allow a run in the first 19.1 IP of his career (9/1/14-5/3/15)...Set Mariners records for most scoreless appearances and most scoreless innings to begin a career. Allowed no runs in 56 of his 70 appearances (80%)...Went more than 1.0 IP 53 times and 2.0 IP 3 times. Posted a 1.45 ERA (5 ER/31.0 IP) with a 0.74 WHIP and a .157 opponent AVG over his first 33 games of the season (through 6/28)...Over his next 21 appearances, had a 5.75 ERA (13 ER/20.1 IP) with a 1.57 WHIP and a .256 AVG, but then finished the year allowing only 1 run (0 ER) in his last 16 games (18.2 IP) with a 0.86 WHIP and a .182 opponent AVG. Recorded 13 saves in 18 opportunities, which included the 1st of his career on 6/6 vs. TB...That save started a streak of 9 consecutive saves converted from 6/6-7/24. Struck out a career-high 5 batters in 2.0 IP (8 BF) on 7/7 vs. DET. Did not allow a run in9 appearances with the Mariners in September (8.1 IP, 2 H, 3 BB, 10 K)... Made MLB debut Sept.1 at Oakland (0.1 IP)…selected from Triple-A Tacoma earlier that day... Pitched in his home state of Texas (born in Dallas, raised in Midland) Sept. 6 vs. the Rangers (0.2 IP, 2 H, 0 R)... Appeared in 39 gameswith the Rainiers, going 1-3 with 10 saves and a 2.93 ERA (14 ER, 43.0 IP)... Over ﬁnal 28 appearances posted a 1.64 ERA (6 ER, 33.0 IP) withTacoma, May 28-Aug. 31... Posted a 1.49 ERA (6 ER, 36.1 IP) in 33 night games, compared to a10.80 ERA (8 ER, 6.2 IP) in 6 day games with Tacoma... Allowed 5 runs in the 9th inning or later (30.0 IP) with the Rainiers... Allowed only one home run while facing 182 batters during the Triple-A season…4 career HR allowed in the minors (656 BF)... Three stints on the minor league DL: April 24-May 17 (right hand contusion), June 9-16 (right oblique strain), Aug. 8-17 (left chest strain). Appeared in 44 games with Jackson…after allowing 5 runs over first 6 appearances of the season, allowed only 5 ER over last 38 appearances (1-1-12, 1.01 ERA/5 ER, 44.2)…allowed only 1 ER over final 28.2 innings, including tossing a season-high 16.2 scoreless innings to close out the season, July 23-Sept. 2…limited opponents to a .183 average (33x180), while walking 17 and striking out 71…struck out at least 1 batter in 39 of 44 games…appeared in 5 games with Peoria Javelinas in the Arizona Fall League. Spent entire season with High Desert...led the Mavericks in saves (15), while finishing2nd on the team with 49 relief appearances...took over the closer role on June 15 andwent 14-for-15 in save opportunities over final 28 games...limited opponents .234(54x231) average, while walking 28 and striking out 77...allowed only 2 earned runs (4 R)over his last 33.2 innings in relief (28 G), from June 15-Sept. 3; went 2-0 with 14 savesand a 0.54 ERA (2 ER, 33.2 IP), while limiting opponents to a .169 (20x118) average with11 walks and 51 strikeouts...did not allow an earned run in final 19.1 innings in relief, fromJuly 17-Sept. 3...played for the Peoria Javelinas in the Arizona Fall League (1-1, 2.40). Participated in the Mariners Instructional League. April 4, 2019 Pawtucket Red Sox placed RHP Carson Smith on the 7-day injured list. December 21, 2018 RHP Carson Smith assigned to Pawtucket Red Sox. 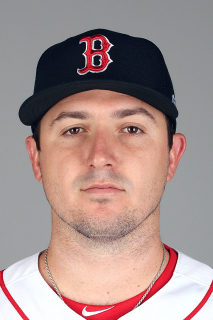 December 20, 2018 Boston Red Sox signed free agent RHP Carson Smith to a minor league contract and invited him to spring training. November 1, 2018 RHP Carson Smith elected free agency. July 2, 2018 Boston Red Sox transferred RHP Carson Smith from the 10-day disabled list to the 60-day disabled list retroactive to June 30, 2018. Right shoulder subluxation. May 15, 2018 Boston Red Sox placed RHP Carson Smith on the 10-day disabled list. Right shoulder subluxation. September 5, 2017 Boston Red Sox activated RHP Carson Smith from the 60-day disabled list. August 8, 2017 Boston Red Sox sent RHP Carson Smith on a rehab assignment to Pawtucket Red Sox. August 5, 2017 Boston Red Sox sent RHP Carson Smith on a rehab assignment to Portland Sea Dogs. April 27, 2017 Boston Red Sox transferred RHP Carson Smith from the 10-day disabled list to the 60-day disabled list. Recovering from Tommy John surgery. April 1, 2017 Boston Red Sox placed RHP Carson Smith on the 10-day disabled list. Recovering from Tommy John surgery. November 3, 2016 Boston Red Sox activated RHP Carson Smith from the 60-day disabled list. May 3, 2016 Boston Red Sox activated RHP Carson Smith from the 15-day disabled list. April 29, 2016 Boston Red Sox sent RHP Carson Smith on a rehab assignment to Portland Sea Dogs. December 7, 2015 Boston Red Sox traded RHP Jonathan Aro and LHP Wade Miley to Seattle Mariners for RHP Carson Smith and LHP Roenis Elias. April 3, 2015 Seattle Mariners recalled RHP Carson Smith from Tacoma Rainiers. March 29, 2015 Seattle Mariners optioned RHP Carson Smith to Tacoma Rainiers. September 1, 2014 Seattle Mariners selected the contract of Carson Smith from Tacoma Rainiers. August 17, 2014 Tacoma Rainiers activated RHP Carson Smith from the 7-day disabled list. August 10, 2014 Tacoma Rainiers placed RHP Carson Smith on the 7-day disabled list. June 16, 2014 Tacoma Rainiers activated RHP Carson Smith from the 7-day disabled list. June 11, 2014 Tacoma Rainiers placed RHP Carson Smith on the 7-day disabled list retroactive to June 9, 2014. May 17, 2014 Tacoma Rainiers activated RHP Carson Smith from the 7-day disabled list. April 28, 2014 Tacoma Rainiers placed RHP Carson Smith on the 7-day disabled list. April 1, 2014 RHP Carson Smith assigned to Tacoma Rainiers from Jackson Generals. January 14, 2014 Seattle Mariners invited non-roster RHP Carson Smith to spring training. April 3, 2013 RHP Carson Smith assigned to Jackson Generals from High Desert Mavericks. January 11, 2013 Seattle Mariners invited non-roster RHP Carson Smith to spring training. April 4, 2012 Carson Smith assigned to High Desert Mavericks. August 15, 2011 Seattle Mariners signed RHP Carson Smith.